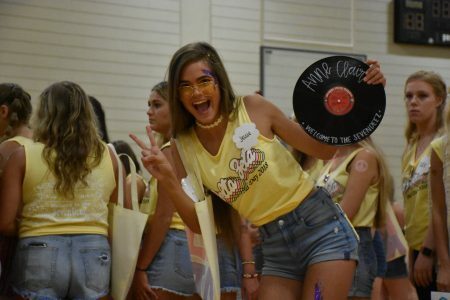 A member of Delta Zeta gears up for the arrival of new members. 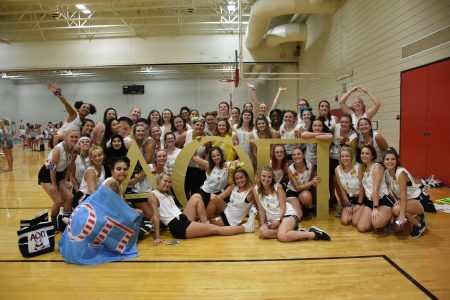 Zeta Tau Alpha and Alpha Omicron Pi pose for a group photo. 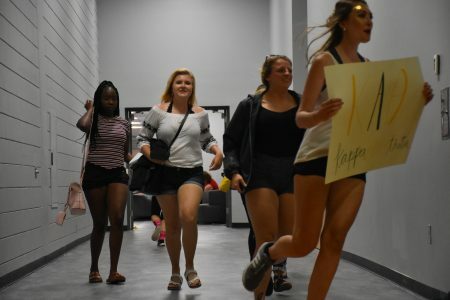 New members of Kappa Alpha Theta run to their chapter. 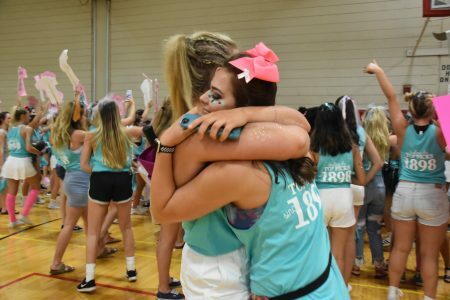 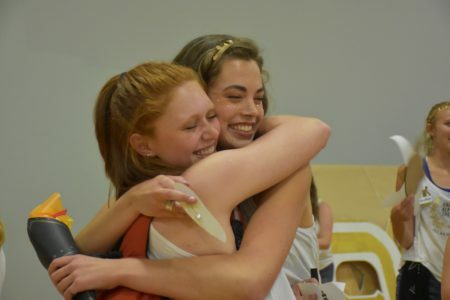 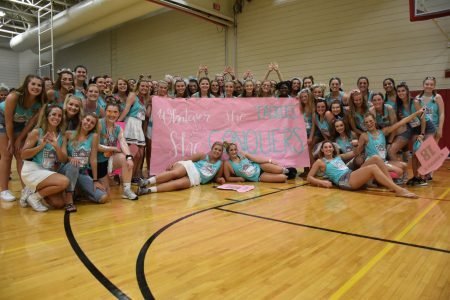 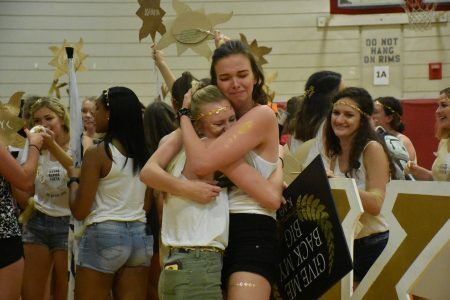 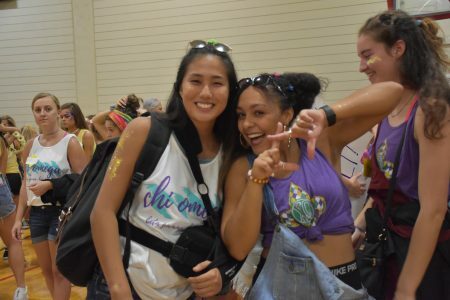 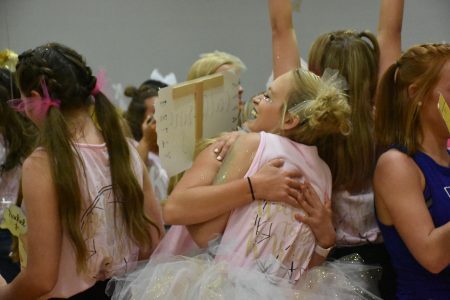 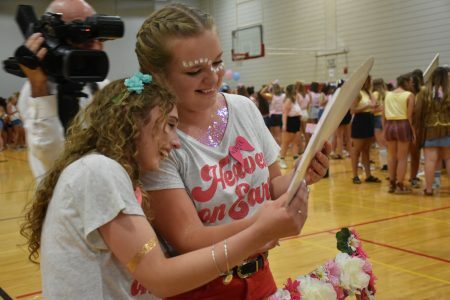 Gamma Chi’s return to their chapters, and are welcomed back. 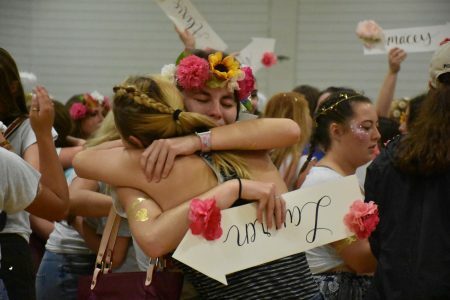 Sisters welcome new members to the chapter.